The latest monthly QV House Price Index shows nationwide residential property values for January increased 6.4% over the past year and values rose by 3.8% over the past three months. The nationwide average value is now $671,531. When adjusted for inflation, the nationwide annual increase drops slightly to 4.7%. Meanwhile, residential property value growth across the Auckland Region increased 0.7% in the year to January and 1.6% over the past three months, which is the highest rate of growth since November 2016. The average value for the Auckland Region is now $1,054,974. When adjusted for inflation, values dropped 0.9% over the past year. “Values in Auckland are now rising with quarterly growth up 1.6%, which is a greater increase compared to the last quarter of 2017"
“Market activity across the nation appears to be picking up now that people have returned to work from the holiday season. Values in Hamilton increased slightly by 0.3% over the past three months but rose on average by 2.6% or $13,598 over the past year from an average of $531,337 in January 2017 to $544,935 in January 2018. Tauranga home values increased 3.9% year on year or $26,123 from an average value of $672,752 in January 2017 to $698,875 in January 2018. Meanwhile, property values in the Western Bay of Plenty have risen 7.3% in the year to January from an average value of $575,089 in January 2017 to $617,120 in January 2018. Values dropped 1.7% over the past three months. Values continue to rise across the Hawkes Bay region. Napier values rose 15.4% year on year and 3.5% over the past three months. The average value in the city is now $483,759 and values are now 42.2% above the previous peak of 2007. The Hastings market also continues rise up 15.7% year on year and 3.9% over the past three months and the market is now 45.5% higher than 2007. The average value there is now $453,616. “We are seeing continued interest from out of town buyers moving to the region. There is also a shortage of quality rental properties resulting in rental growth. I would anticipate this will result in value growth throughout 2018." Values across the wider Wellington Region rose 9.0% or $52,489 over the past year from an average value of $582,322 in January 2017 to an average value of 634,811 in January 2018. Values across the region rose 4.0% over the past three months. Wellington City increased by 8.9% year on year and 3.5% over the past three months. The average value there is now $764,560. Wellington – Central and South is up the most, increasing by 5.5% over the past three months alone and 9.3% in the year to January 2018. Meanwhile values continue to rise strongly across Wellington’s regional centres. Upper Hutt is up 8.5% year on year and 1.1% over the past three months; while Lower Hutt rose 8.4% year on year and 0.6% over the past quarter. Further north, Porirua and the Kapiti Coast maintained their solid growth over the past year, up 13.4% and 12.9% respectively. Nelson residential property values continue to increase, rising 9.9% or $50,244 year on year from an average value of $508,343 in January 2017 to $558,587 in January 2018. Values rose 1.3% over the past three months. Meanwhile, values in the Tasman District have also continued to rise, up 12.6% or $62,796 year on year from an average value of $498,111 in January 2017 to $560,907 in January 2018. They increased 2.6% over the last three months. Christchurch City values have dropped slightly, down 0.6% or $3,080 over the past year from an average value of $497, 539 in January 2017 to $494,459 in January 2018. However, values have increased slightly by 0.8% over the past quarter. Meanwhile, growth remains relatively flat across Canterbury’s regions. The Waimakariri District is up 0.7% year on year although its value has remained unchanged over the past three months; while Selwyn values are down 0.1% year on year although they are up over the past three months. It’s very much a continuation of last year, as Dunedin City continues its market growth. Values rose 9.3% over the past year from an average value of $359,055 in January 2017 to an average value of $392,512 in January 2018. Values also increased 2.6% over the past three months. “Given the current trends and activity in the market, I am not anticipating major changes to recent trends throughout this year. I’d anticipate market activity to pick up as we emerge out of the holiday period and buyers settle into last year’s change of government and the banks' easing their lending criteria." The growth in values across many smaller provincial centres in the North Island continues. Over the past three months, there were notable value increases in Whanganui, South Waikato, Waitomo, Opotiki, Rangitikei and Carterton among others. 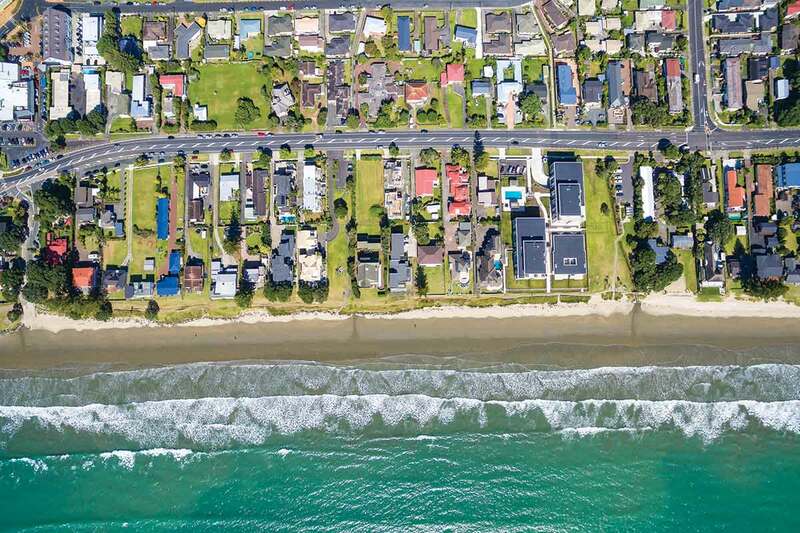 Meanwhile, it’s been a strong year of growth north of Auckland, with Whangarei and Kaipara both experiencing annual increases of value of 10% and 9.2% respectively. In the South Island, regional centres including Grey, Waitaki, Clutha and Southland have experiencing notable value increases over the past quarter. Most notably, Mackenzie continues its significant growth up 10.3% over the past three months and 27.1% since January 2017. Finally, growth in Queenstown Lakes has dropped slightly to 2.2% over the last three months although growth remains very strong over the past year.